The MiG-23's predecessor, the MiG-21, was fast and agile, but limited in its operational capabilities by its primitive radar, short range, and limited weapons load (restricted in some aircraft to a pair of short-range R-3/K-13 (AA-2 "Atoll") air-to-air missiles). Work began on a replacement for the MiG-21 in the early 1960s. 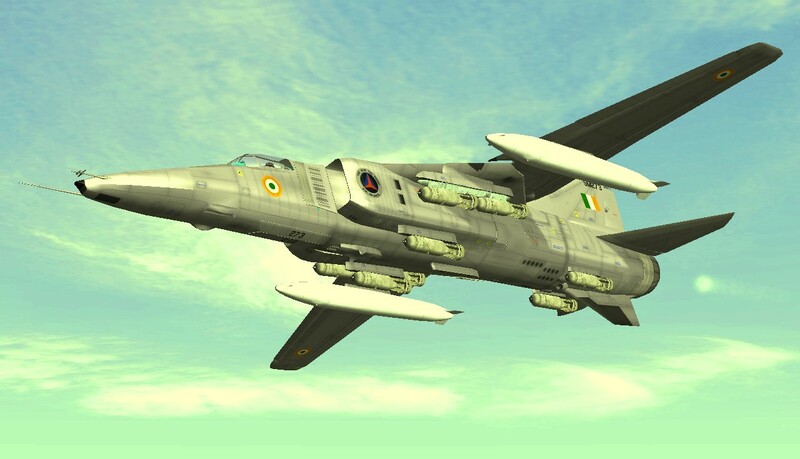 The new aircraft was required to have better performance and range than the MiG-21, while carrying more capable avionics and weapons including beyond-visual-range (BVR) missiles. A major design consideration was take-off and landing performance. Existing Soviet fast jets required very long runways[specify] which, combined with their limited range, restricted their tactical usefulness. The VVS demanded the new aircraft have a much shorter take-off run. Low-level speed and handling was also to be improved over the MiG-21. Manoeuvrability was not an urgent requirement. This led Mikoyan to consider two options: lift jets, to provide an additional lift component, and variable-geometry wings, which had been developed by TsAGI for both "clean-sheet" aircraft designs and adaptations of existing designs. 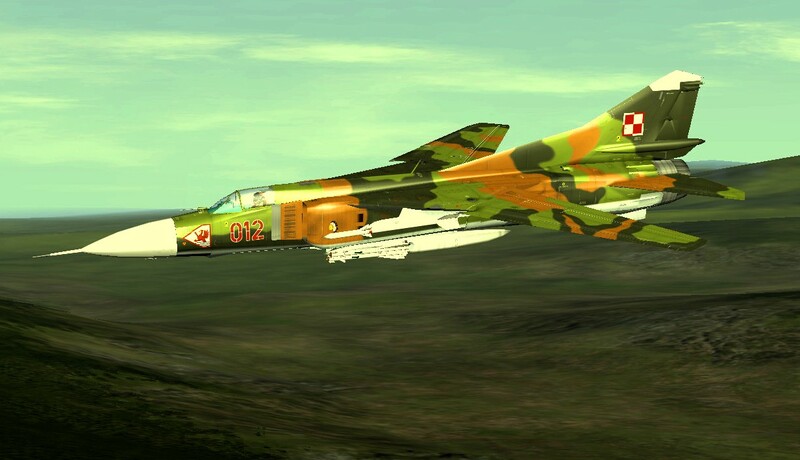 The first option, for an aircraft fitted with lift jets, resulted in the "23-01", also known as the MiG-23PD (Podyomnye Dvigatyeli – lift jet), was a tailed delta of similar layout to the smaller MiG-21 but with two lift jets in the fuselage. This first flew on 3 April 1967, but it soon became apparent that this configuration was unsatisfactory, as the lift jets became useless dead weight once airborne. Work on the second strand of development was carried out in parallel by a team led by A.A Andreyev, with MiG directed to build a variable-geometry prototype, the "23-11" in 1965. The 23-11 featured variable-geometry wings which could be set to angles of 16, 45 and 72 degrees, and it was clearly more promising. The maiden flight of 23–11 took place on 10 June 1967, flown by the famous MiG test pilot Alexander Vasilevich Fedotov (who set the absolute altitude record in 1977 in a Mikoyan-Gurevich MiG-25). Six more flight prototypes and two static-test prototypes were prepared for further flight and system testing. All featured the Tumansky R-27-300 turbojet engine with a thrust of 7850 kp. The order to start series production of the MiG-23 was given in December 1967. The first production "MiG-23S" (NATO reporting name 'Flogger-A') took to the air on 21 May 1969, with Fedotov at the controls. The General Dynamics F-111 and McDonnell Douglas F-4 Phantom II were the main Western influences on the MiG-23. The Soviets, however, wanted a much lighter, single-engined fighter to maximize agility. Both the F-111 and the MiG-23 were designed as fighters, but the heavy weight and inherent stability of the F-111 turned it into a long-range interdictor and kept it out of the fighter role. The MiG-23's designers kept the MiG-23 light and agile enough to dogfight with enemy fighters. The MiG-23's armament evolved as the type's avionics were upgraded and new variants were deployed. The earliest versions, which were equipped with the MiG-21's fire control system, were limited to firing variants of the R-3/K-13 (AA-2 "Atoll") missile. The R-60 (AA-8 "Aphid") replaced the R-3 during the 1970s, and from the MiG-23M onwards the BVR R-23/R-24 (AA-7 "Apex") was carried. The MiG-23MLD is capable of firing the R-73 (AA-11 "Archer"), but this missile was not exported until the MiG-29 was released for export. The helmet-mounted sight associated with the R-73 missile was fitted on the MiG-23MLDG and other experimental MiG-23MLD subvariants that never entered production as had been originally planned. The reason was that these MiG-23MLD subvariants had less priority than the then ongoing MiG-29 program, and the Mikoyan bureau therefore decided to concentrate all their efforts on the MiG-29 program and halted further work on the MiG-23. 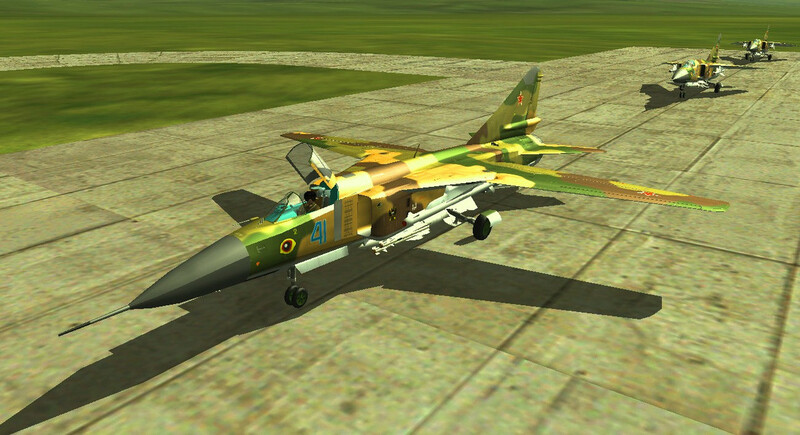 Nevertheless, a helmet-mounted sight is now offered as part of the MiG-23-98 upgrade. 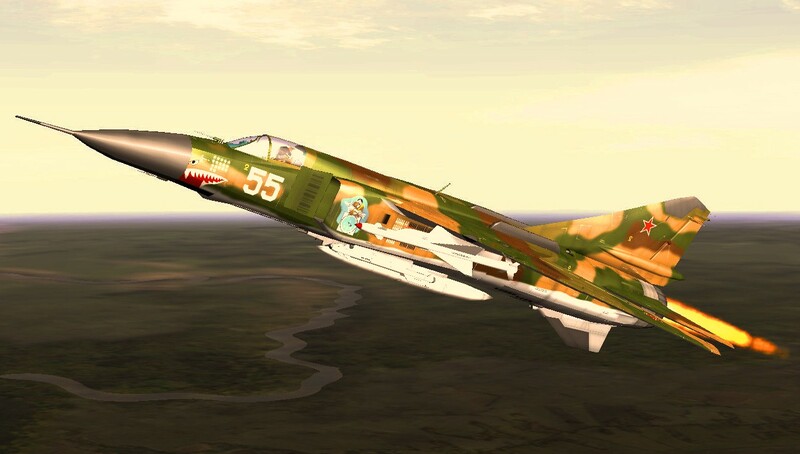 There were reports of the MiG-23MLD being capable of firing the R-27 (AA-10 "Alamo") beyond experimental tests; however, it seems only Angola's MiG-23-98s are capable of doing so. A MiG-23 was used to test and fire the R-27, R-73, and R-77 (AA-12 "Adder") air-to-air missiles during their early flight and firing trials. Ground-attack armament includes 57 mm rocket pods, general purpose bombs up to 500 kg in size, gun pods, and Kh-23 (AS-7 "Kerry") radio-guided missiles. Up to four external fuel tanks could be carried. This variant first flew in June 1972. It was the first truly mass-produced version of the MiG-23, and the first VVS fighter to feature look-down/shoot-down capabilities (although this capability was initially very limited). The wing was modified again and now featured leading-edge slats. The Tumansky R-29 (R-29A) engine was now rated for 12,500 kp. It finally had the definitive sensor suite: an improved Sapfir-23D (NATO: 'High Lark') radar, a TP-23 infra-red search and track (IRST) sensor and an ASP-23D gunsight. The "High Lark" radar had a detection range of some 45 km against a high-flying, fighter-sized target. It was not a true Doppler radar but instead utilized the less effective "envelope detection" technique, similar to some radars on Western fighters of the 1960s. This was an export derivative of the MiG-23M originally intended to be exported to Warsaw Pact countries, but it was also sold to many other allies and clients, as most export customers were dissatisfied with the rather primitive MiG-23MS. It actually came in two versions. 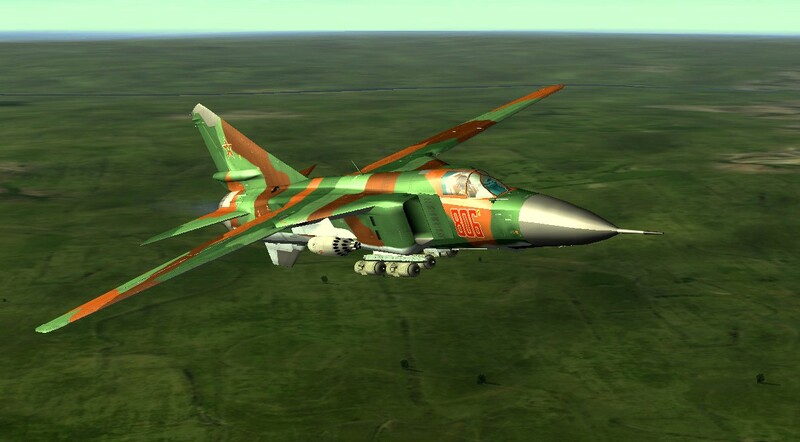 The first one was sold to Warsaw Pact allies, and it was essentially identical to Soviet MiG-23M, with small changes in "identify friend or foe" (IFF) transponders and communications equipment. The second variant was sold outside Eastern Europe and it had a different IFF and communications suite (usually with the datalink removed), and downgraded radar, which lacked the electronic counter-countermeasure (ECCM) features and modes of the baseline "High Lark". 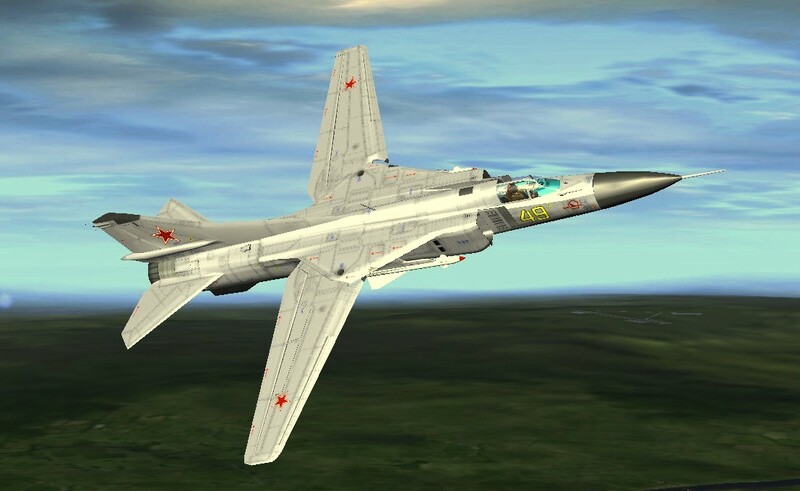 This variant was more popular abroad than the MiG-23MS and considerable numbers were exported, especially to the Middle East.The infrared system had a detection range of around 30 km against high-flying bombers, but less for fighter-sized targets. The aircraft was also equipped with a Lasur-SMA datalink. The standard armament consisted of two radar- or infrared-guided Vympel R-23 (NATO: AA-7 "Apex") BVR missiles and two Molniya R-60 (NATO: AA-8 "Aphid") short-ranged infrared missiles. From 1974 onwards, double pylons were installed for the R-60s, enabling up to four missiles to be carried. Bombs, rockets and missiles could be carried for ground attack. Later, compatibility for the radio-guided Kh-23 (NATO: AS-7 "Kerry") ground-attack missile was added. Most Soviet MiGs were also wired to carry tactical nuclear weapons. Some 1300 MiG-23Ms were produced for the VVS and Soviet Air Defense Forces (PVO Strany) between 1972 and 1978. It was the most important Soviet fighter type from the mid-to-late 1970s. This was an export variant, as the '70s MiG-23M was considered too advanced to be exported to Third World countries. It was otherwise similar to MiG-23M, but it had the S-21 standard weapon system, with a RP-22SM (NATO: "Jay Bird") radar in a smaller radome, and the IRST was removed. Obviously, this variant had no BVR capability, and the only air-to-air missiles it was capable of using were the R-3S (NATO: AA-2a "Atoll") and R-60 (NATO: AA-8 "Aphid") IR-guided missiles and the R-3R (NATO: AA-2d "Atoll") semi-active radar homing (SARH) missile. The avionics suite was very basic. This variant was produced between 1973 and 1978 and exported principally to North Africa and the Middle East. This was a specialized air-defense interceptor variant developed for the PVO Strany. It had the same airframe and powerplant as the MiG-23ML, but there is a cut-back fin root fillet instead of the original extended one on other models. Its avionics suite was improved to meet PVO requirements and mission profiles. Its radar was the improved Sapfir-23P, which could be used in conjunction with the gunsight for better look-down/shoot-down capabilities to counter increasing low-level threats like cruise missiles. The IRST, however, was absent. The autopilot included a new digital computer, and it was linked with the Lasur-M datalink. This enabled ground-controlled interception (GCI) ground stations to steer the aircraft towards the target; in such an intercept, all the pilot had to do was control the engine and use the weapons. The MiG-23P was the most numerous PVO interceptor in the 1980s. Around 500 aircraft were manufactured between 1978 and 1981. The MiG-23P was never exported and served only within the PVO in Soviet service. The early "Flogger" variants were intended to be used in high-speed missile attacks, but it was soon noticed that fighters often had to engage in more stressful close-in combat. Early production aircraft had actually suffered cracks in the fuselage during their service career. Maneuverability of the aircraft was also criticized. A considerable redesign of the airframe was performed, resulting in the MiG-23ML (L – lightweight), which made it in some ways a new aircraft. Empty weight was reduced by 1250 kg, which was achieved partly by removing a rear fuselage fuel tank. Aerodynamics were refined for less drag. The dorsal fin extension was removed. The lighter weight of the airframe resulted in a different sit on the ground, with the aircraft appearing more level when at rest compared to the nose-high appearance of earlier variants. This has led to a belief that the undercarriage was redesigned for the ML variant, but it is identical to earlier variants. The airframe was now rated for a g-limit of 8.5, compared to 8 g for the early generation MiG-23M/MF "Flogger-B". A new engine model, the R-35F-300, now provided a maximum dry thrust of 8,550 kp, and 13,000 kp with afterburner. This led to a considerable improvement in maneuverability and thrust-to-weight ratio. The avionics set was considerably improved as well. The S-23ML standard included Sapfir-23ML radar and TP-23ML IRST. The new radar was more reliable and a had maximum detection range of about 65 km against a fighter-sized target (25 km in look-down mode). The navigation suite received a new, much improved autopilot. New radio and datalink systems were also installed. The prototype of this variant first flew in 1976 and production began 1978. The later production variant of the "ML" was redesignated the "MLA". Externally, the "MLA" was identical to "ML". Internally, the 'MLA' had an improved radar with better ECM resistance, which made co-operative group search operations possible as the radars would now not jam each other. It also had a new ASP-17ML HUD/gunsight, and the capability to fire improved Vympel R-24R/T missiles. Between 1978 and 1982, around 1,100 "ML/MLA"s were built for both the Soviet Air Force and export customers. As with the MiG-23MF, there were two different MiG-23ML sub-variants for export: the first version was sold to Warsaw Pact countries and was very similar to Soviet aircraft. The second variant had downgraded radar and it was sold to Third World allies. 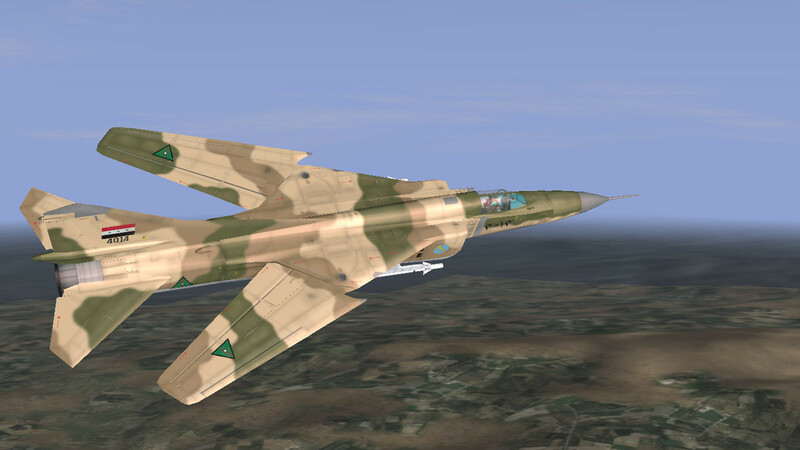 The MiG-23MLD was the ultimate fighter variant of the MiG-23. The main focus of the upgrade was to improve manoeuvrability, especially during high angles of attack (AoA). The pitot boom was equipped with vortex generators, and the wing's notched leading edge roots were 'saw-toothed' to act as vortex generators as well. The flight-control system was modified to improve handling and safety in high-AoA maneuvers. Significant improvements were made in avionics and survivability: the Sapfir-23MLA-II featured improved modes for look-down/shoot-down and close-in fighting. A new SPO-15L radar warning receiver was installed, along with chaff/flare dispensers. The new and very effective Vympel R-73 (NATO: AA-11 "Archer") short-range air-to-air missile was added to inventory. No new-build "MLD" aircraft were delivered to the VVS, as the more advanced MiG-29 was about to enter production. Instead, all Soviet "MLD"s were former "ML/MLA" aircraft modified to "MLD" standard. Some 560 aircraft were upgraded between 1982 and 1985. As with earlier MiG-23 versions, two distinct export variants were offered. Unlike Soviet examples, these were new-build aircraft, though they lacked the aerodynamic refinements of Soviet "MLD"s; 16 examples were delivered to Bulgaria, and 50 to Syria. These were the last single-seat MiG-23 fighters made, and the last example rolled off the production line in December 1984. Produced since 1973, the MiG-23BN was based on MiG-23B, but had the same R-29-300 engine as contemporary fighter variants. They were also fitted with "type 3" wings. There were other minor changes in electronics and equipment, and some changes were made during its long production run. Serial production lasted until 1985, with 624 built. Most of them were exported, as the Soviets always viewed it as an interim type and only a small number served in Frontal Aviation regiments. As usual, a downgraded version was sold to Third World customers. This variant proved to be fairly popular and effective. The most distinctive identifying feature between the MiG-23B and MiG-23BN was that the former had the dielectric head just above the pylon, which was removed from the MiG-23BN. In India, the last MiG-23BNs were flown by 221 Squadron (Valiants) of Indian Air Force and were decommissioned on 6 March 2009. Wing Commander Tapas Ranjan Sahu, was the last pilot to land the MiG-23BN on that day. 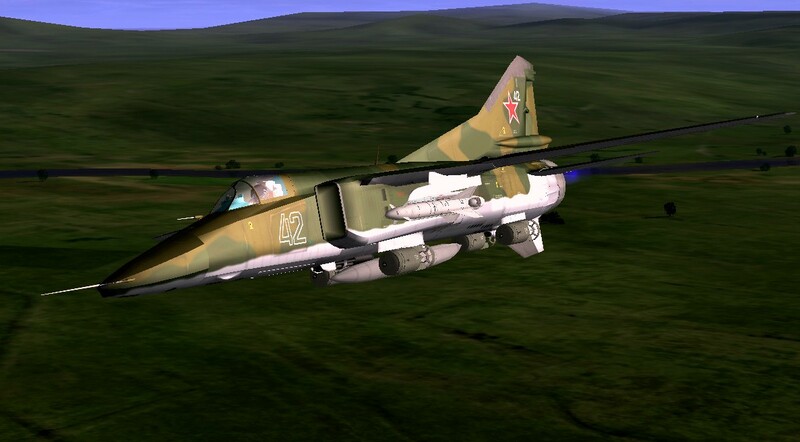 The MiG-27 shares the basic airframe of the MiG-23, but with a revised nose – nicknamed "Utkonos" ("Platypus") in Russian service, first introduced on the MiG-23B. Dissatisfaction with the MiG-23BN led to the further development of the basic airframe to accommodate a stronger undercarriage, simpler intakes and a shorter exhaust nozzle, without radar in favor of a downward-sloping profile for improved pilot visibility, a laser rangefinder and marked-target seeker. Among its test pilots, it was also called "Balkon" ("Balcony") because of the increased frontal view from the cockpit. Additional cockpit armor was installed, along with a totally new nav/attack system. Since the MiG-27 was intended to fly most of its missions at low altitude, the MiG-23's variable intake ramps and exhaust nozzles were discarded in favor of a simpler fixed configuration, reducing weight and maintenance requirements. The aircraft also has larger, heavy-duty landing gear to facilitate operation from poorer-quality airfields. In accordance with the MiG-27s strike and low-level attack requirements, provisions were made to mount missiles and precision-guided munitions, as well as retaining a nuclear capability in line with other Soviet combat aircraft by introducing specialized navigation systems. The MiG-27K was most advanced Soviet variant, with a laser designator and compatibility with TV-guided electro-optical weapons. It carried the GSh-6-30 cannon. Around 200 were built. Vega: Plane Java & FM, new weapons java. Thank you. Great model. Now the worst mig is in the farm ! YEAH ! WOW, quite a complex landing gear. I'm reporting that I have already made my first flight. Great addition, many thanks gentlemen for your combined efforts! Very nice, Like the graphics, easy to land. Thank you. Most Exxxcellent work - as always !!! thank you for this beauty - and your continued amazing work ! Joke a side, it needs anyway an automatic sweept wing for AI, I program the wing logic thinking at the best solution for fly envelopment, the same that an human player would select. 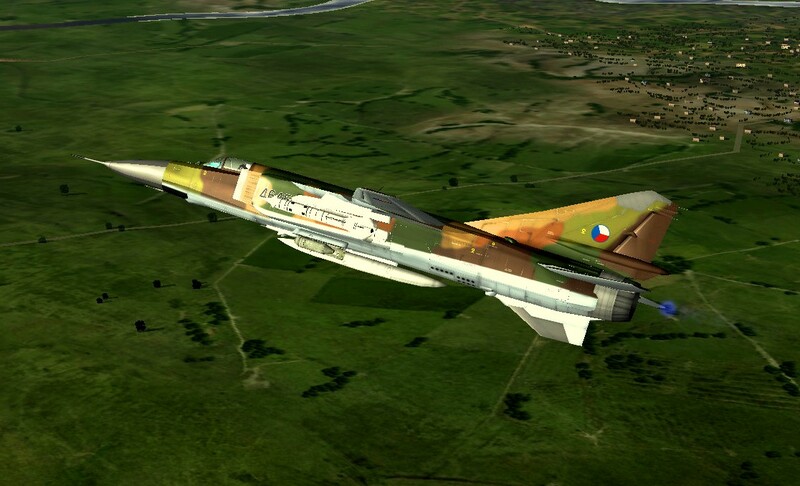 Do you have MiG-21 pack? Many thanks 4S_Vega &Co,another fantastic work!! !